The Book of Standage: Heather is going to Pre-K! Heather is going to Pre-K! We went back and forth trying to decide whether or not to put Heather in preschool. 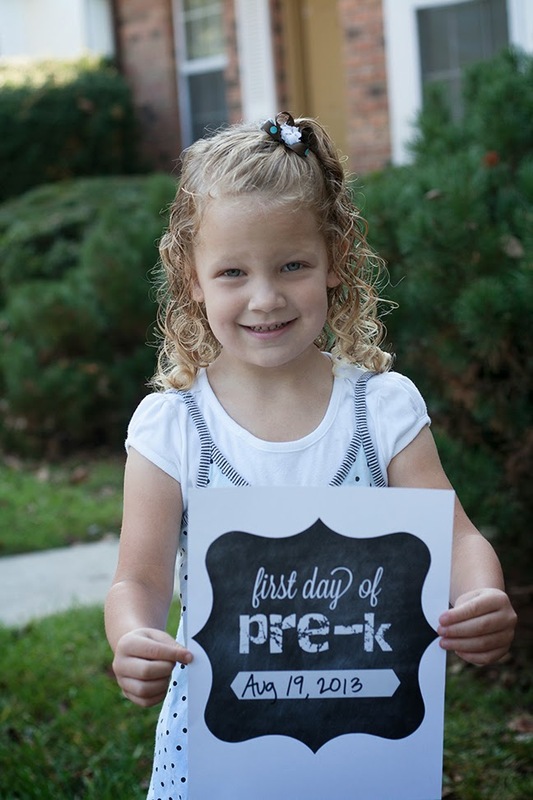 She is super smart and super ahead and we didn't think she would necessarily need to go to preschool, but we also feel like she needed some more social time. More than we could give her. We gave it a lot of thought and prayer and finally decided to put her in. She goes from 9-12 M-Th. She loves it! 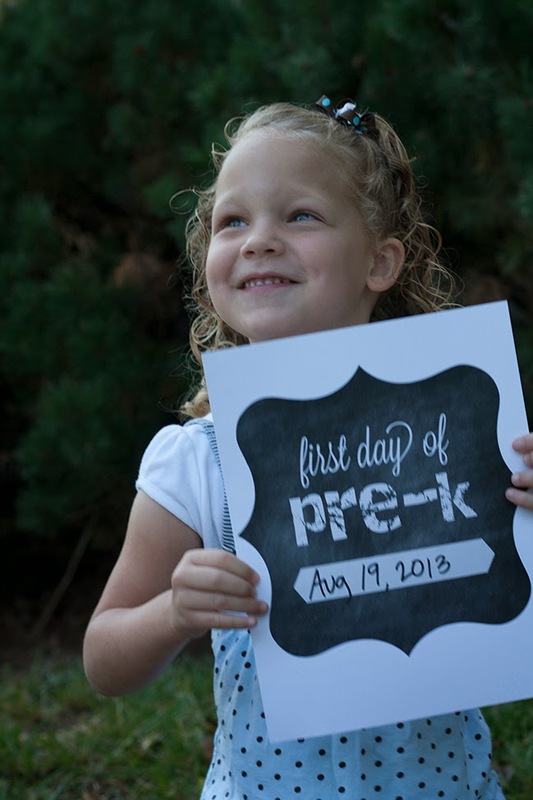 Here are her 1st day of school photos. Isn't she adorable?